I read this article and found it very interesting, thought it might be something for you. The article is called The End Well Symposium and is located at http://modernloss.com/the-end-well-symposium/. 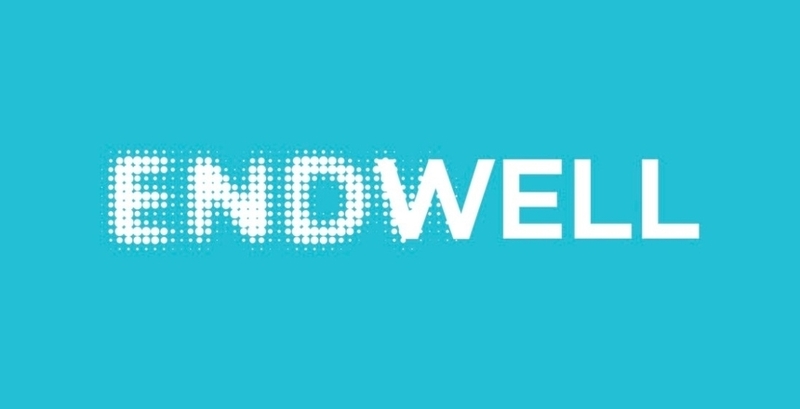 On December 7 in San Francisco, a sold-out crowd of 400 will attend the inaugural End Well symposium, at which they will hear a wide variety of experts in design, technology, health, and policy discuss and dream about the ways in which we can wind down and leave our lives behind as well as we have, hopefully, lived them. I spoke with founding chair Dr. Shoshana Ungerleider about her goal to create a cultural shift that supports new collaborations, systems, protocols and products in support of how we die. How is End Well different from other end-of-life conferences out there? End Well is the first of its kind, interdisciplinary conference for anyone interested in transforming the end of life experience into a more human-centered experience. There has never before been an event that invited designers, healthcare providers, entrepreneurs, artists, educators and patients to engage in cross-disciplinary discussion about what it means to live well until the very end. What personal experiences have you had, both the positive and the negative, that have made you realize how important it is to rethink this conversation? I did not set out to be an advocate for improving the end of life, but I had several experiences during my medical training that led me here. In this country, most people (who are often frail and elderly) with many irreversible medical conditions spend their last moments of life suffering, hidden away from loved ones in the ICU, despite the fact that nothing we are doing to them is going to help them. Far too often, these people aren’t dying in ways that match the goals and values of how they want to live their lives. In America, 10,000 Baby Boomers turn 65 each day. Even if we were to have massive breakthroughs in longevity science, never in our history will such a large number of people die in so short amount of time. It’s a huge challenge that we simply can’t tackle from inside health care. Ending well is a human issue, not a medical one. I realized that what I was after was fundamentally a conversation about living not dying. And that the questions designers ask – about who, what, why, and how – are the questions we need to answer. Yet, what I’ve learned is that in the medical realm in general, and palliative care in particular, there are tremendously high real and perceived barriers to entry. I have met many seriously talented, smart people doing incredible work in their fields, who are stunned when I suggest they might have something to contribute to redesigning the end of life experience. For a pilot conference, you have a really impressive lineup. How did you get everyone on board? Our team started planning this event over a year ago. Honestly, we assumed we’d have to ask 5 times the number of speakers we needed in order to get our lineup. But nearly everyone said yes, and we’ve actually had to turn many amazing speakers away! I think people are really interested in having this conversation – we’re at a cultural tipping point. What kind of people should attend? And what is the most important takeaway you hope attendees will have at the end of this event? We welcome designers, entrepreneurs, healthcare providers, patients, caregivers, community activists, journalists, educators, policy makers, artists, venture capitalists, philanthropists and others to attend. At End Well, we are very committed from taking thoughts and ideas to action. We want attendees to leave our 1-day event inspired and prepared to take their ideas to the next level. What are some simple steps that people can take to talk about this subject at home? We believe all conversations related to advance care planning, discussing what matters most in the face of serious illness should start at home with loved ones. There are several great platforms to help facilitate this important discussion including Death Over Dinner, Go Wish card game or Hello. Remember, this is a conversation about living! How do you think Modern Loss’ work — as in, sharing stories about what loss and grief really looks like over the long term — can impact the end of life experience moving forward? The end of life experience includes grief and bereavement. Modern Loss is opening up this often overlooked time in a whole new way by bringing these conversations and resources into the open. By bringing grief out of the shadows and normalizing it as a natural part of life, this allows readers to connect with their own individual experience, helping them to move forward. Modern Loss is creating community around our shared experience of being human.